Good morning! I'm still busy working away on plans for Book 8, putting the final touches to Book 7 and eagerly awaiting the publication of The Little Bed & Breakfast by the Sea (which is 28th June - so close!) but I wanted to pop a quick post on the blog to flag up a deal that's just started on Kobo. 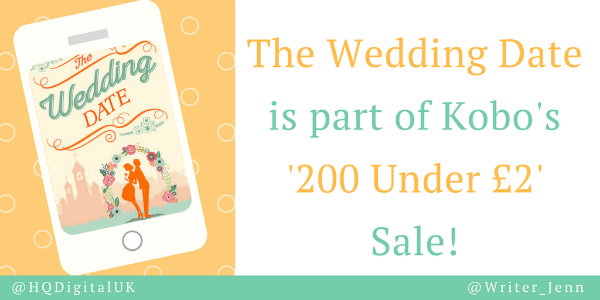 The Wedding Date is part of Kobo's '200 Under £2' Sale so you can grab a copy for just £1.49. The sale ends in a few days, so don't miss out!